Let’s just put it out there, the MAC Warm Neutral Palette is the only eyeshadow palette I will ever need!! It is my favourite and as a fan of warm, brown eyeshadows this is just perfection! Saddle (2nd row far right) – This is my go to all over eyeshadow. It’s basically a really intense matte bronzer colour. The pigment of this shadow is utter heaven and there is pretty much zero fallout. I could stare at it all day!! Gingersnap (1st row, middle) – Firstly can we just talk about how cute the name is!! This is a gorgeous eyeshadow that changes colour under different lights (in a good way). It has reddish undertones but applies with a soft pink sheen. There is just enough sparkle to be subtle without overwhelming the makeup. I like to wear this across my upper eyelid and pair it with Dark Brew (the dark reddish brown shade next to it) on the lower lash line. I find this works well with a winged liner and lashes for a night out. Divine Decadence (3rd row, fourth shadow) – This mulch brown shade is perfect for creating a grungey eye look with a touch of glamour. So easy to work with, lovely on its own or as a crease colour. Beautifully pigmented and looks great with tanned or pale skin. There isn’t one bad eyeshadow in this palette and I think that’s quite a rarity these days. I love that they all work well on their own or mixed together, the possibilities are endless! 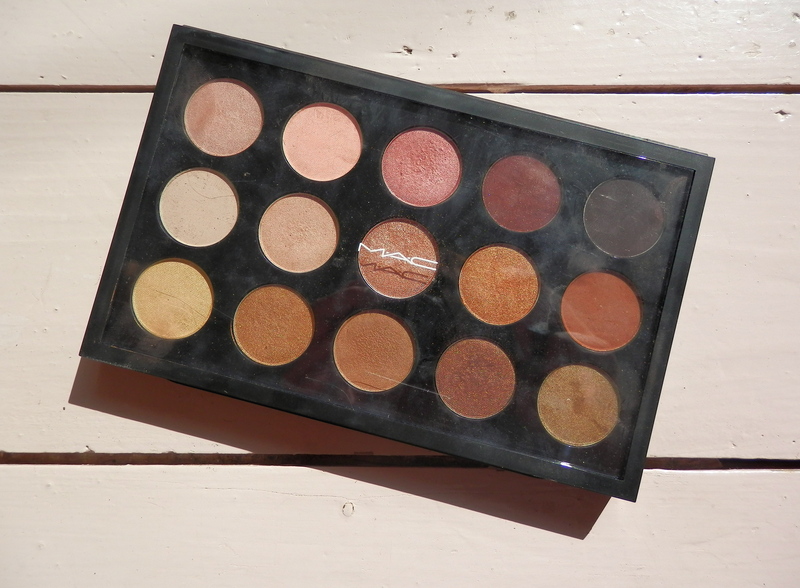 This palette is always next to my mirror ready to be used (did I mention it’s my favourite?!) There is a cool neutral palette available if this isn’t your cup of tea but for me it is a cup of pure gold paradise!! An impulsive trip to my local Poundland resulted in one of the best makeup finds I’ve had in a long time! Since Kylie Jenner gave MAC lip pencils Soar, Stripdown and Whirl a serious amount of publicity they have become somewhat of a phenomenon. I won’t lie, I followed suit and made sure they were all in my collection and I absolutely adore each one! At first glance the makeup selection at Poundland is average at best, not very well stocked but always worth a quick once over. I originally had my eyes on a bronzer but decided that I definitely don’t need to add another one to my collection any time soon *like this century*!! I scanned the tub of lip pencils and impulsively picked up the standard neutral/rosy pink I always go for and didn’t think much more of it. That is until I swatched it on the back of my hand on the way home and realised I may have just stumbled upon a complete gem!! 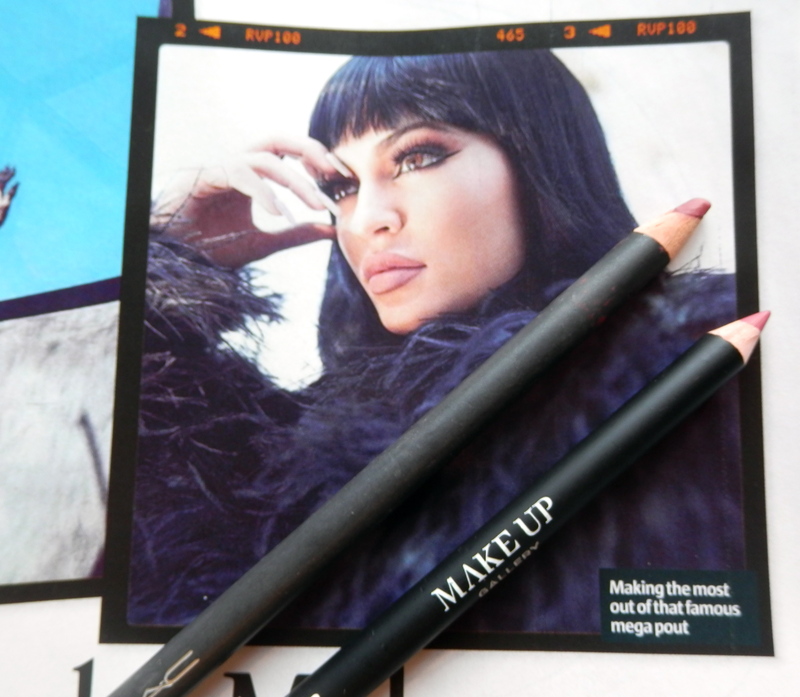 The Make Up Gallery Pout It Out Lip Liner in Rose looks to be a slightly deeper colour than Soar but on the lips the two are identical. To double check this I applied Rose to my bottom lip and Soar to the top, if I hadn’t of known I could not have told the two apart. Unfortunately I couldn’t for the life of me take a decent picture of this!! The best thing about this post is that whilst writing it I discovered Poundland is online and you can stock up on this liner from the comfort of your living room, basically I’m now going to buy every other shade on offer! Obviously there is a big difference in terms of quality. The MAC liner is smooth and applies like a dream, it has a softer finish meaning you are left with a much less harsh finish. In comparison the Poundland pencil is hard and requires a stronger hand to create the same colour pay off. But let’s be real, the price difference speaks for itself. 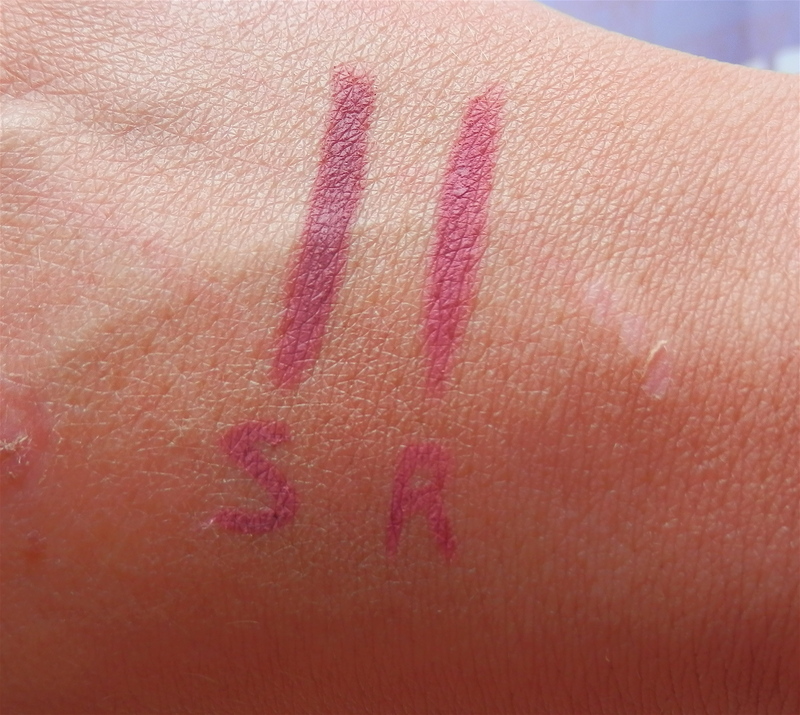 If you’re a fan of Soar or even just a rosy pink lip GET IT GET IT GET IT! How could anyone resist a £1 MAC dupe?! I know I certainly couldn’t and I am beyond happy I didn’t!